She’s special. 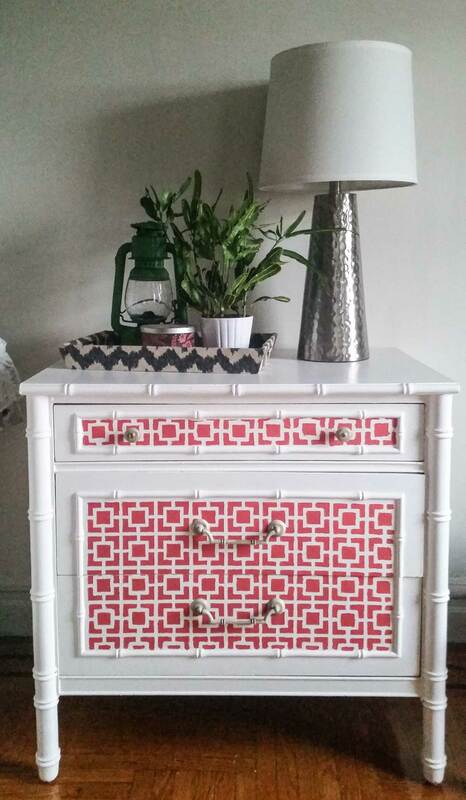 Our graphic little end table came to be through lots of sanding, a new color treatment and mod-style stencil work on the face of the drawers. We painted the hardware for a seamless match.